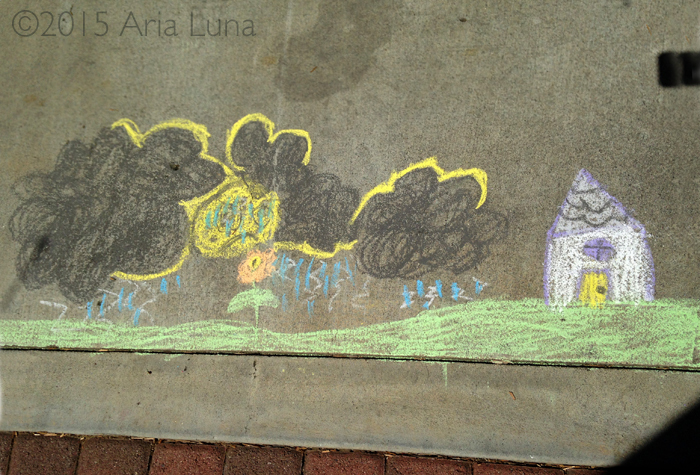 Aria Luna’s first chalk creations were, like any other child’s, spawned on the sidewalk. 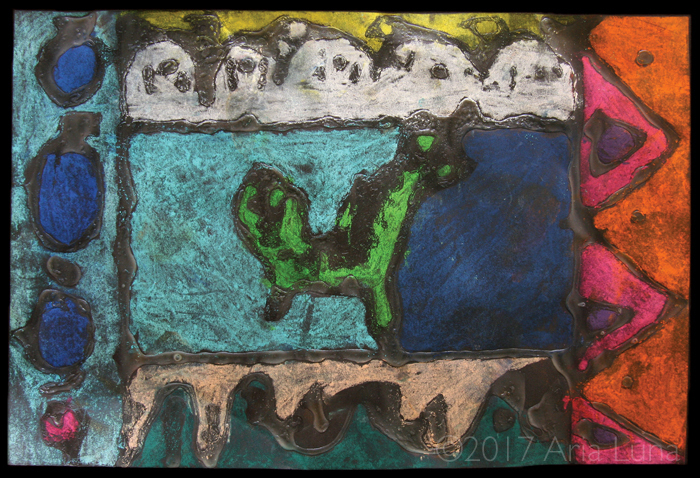 No guarantee we’ve captured them all—who knows what mini masterpieces have been wiped away by little feet before pick-up time—but Aria’s mom is pretty sure she got most of them. Thank heaven for those handy smartphones. That we all use to make pictures instead of phone calls. 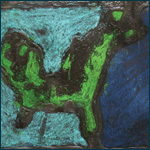 This is one of the famous Luna Birds, intricately colorful birds Aria made a whole lot of when she was 4 and 5. 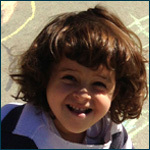 Here she is, just 4 years old, on the playground of her preschool. 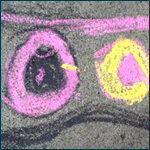 This one is one of Aria Luna’s earliest chalk drawings. Her Dad had been showing her pictures of various tropical fish species and telling her stories from his trips in South America (being a lifelong fisherman and all). Clearly, the sailfish made an impression. 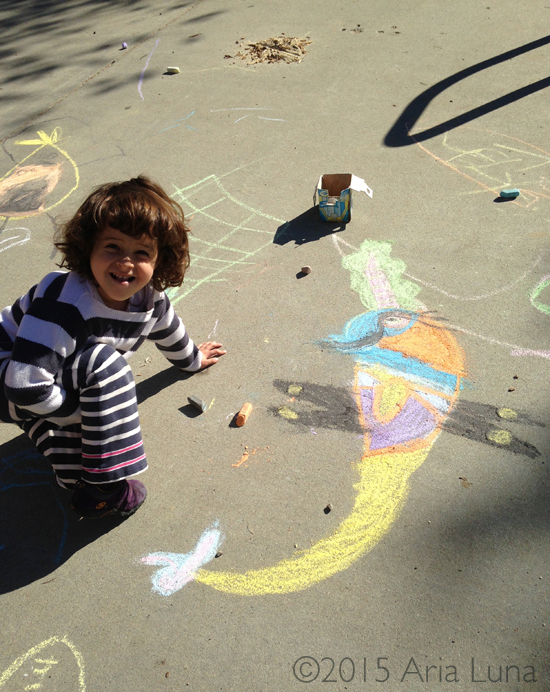 On a late March afternoon in 2015, Aria and her mom were at the neighborhood playground. 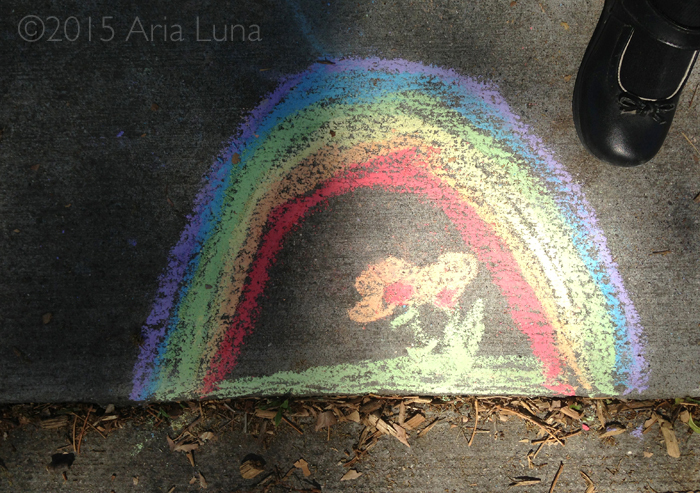 At the edge of the play area, a little hand drew a rainbow just as the sun began to set. And yes, that’s Aria’s shoe in the corner. This was at the same playground as “Rainbow” above. 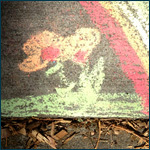 In fact, along the same stretch of sidewalk, but a month later. 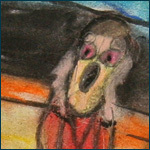 As they were leaving, Aria’s mom glanced down and caught her breath. 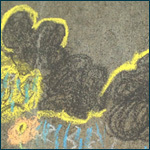 Her 4-year-old had drawn this scene of a thunderstorm, clouds ringed with the gold of the late afternoon sun, as if nothing. (She’d never seen a thunderstorm in real life). 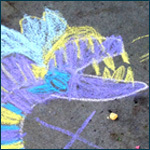 Neither one of Aria Luna’s parents have a clue as to what this is. Aria’s mom thinks it looks like a tube of toothpaste. Wouldn’t you want to brush your teeth more often if your toothpaste looked this cool? 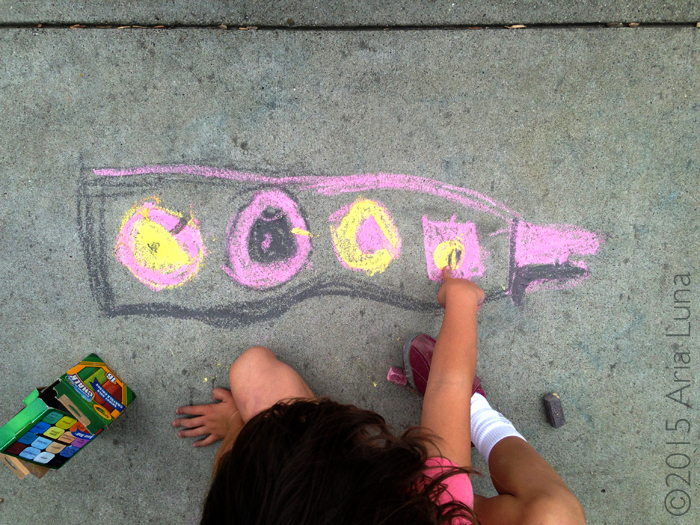 Fast-forward two years later, and Aria Luna has taken her chalk to new levels. 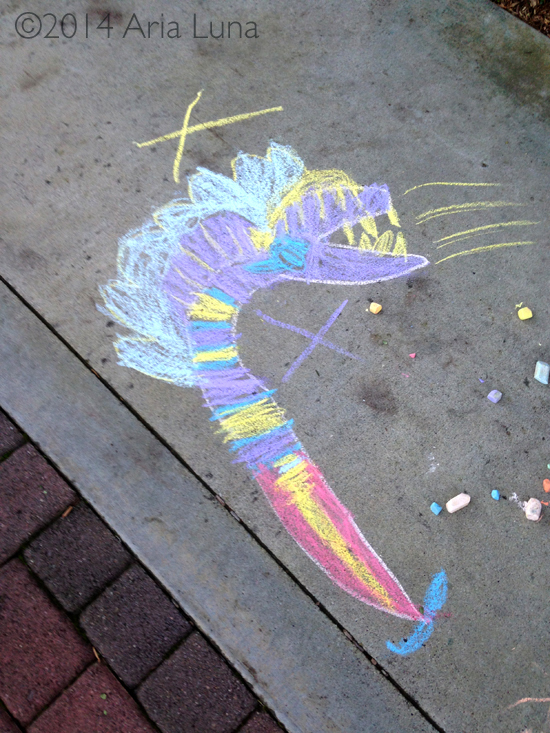 And it’s made friends with pastels, too. Definitely worth something screaming about. 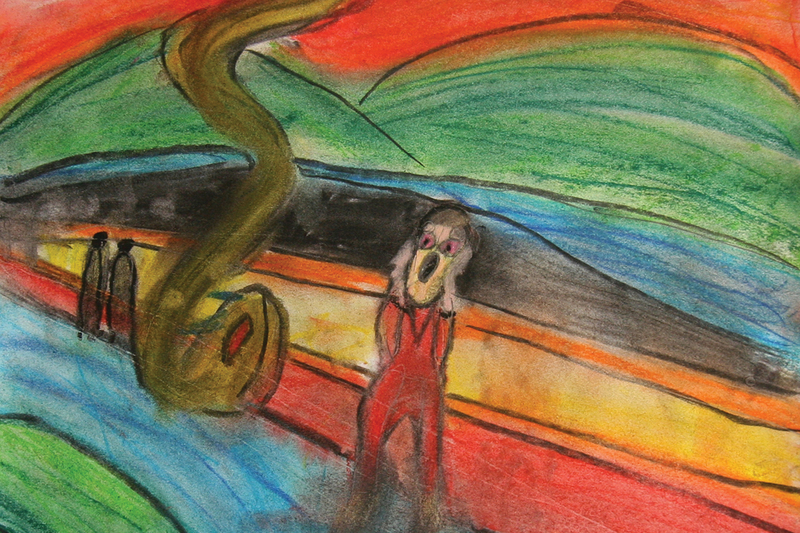 This is the young artist’s version of Edvard Munch’s super-famous “The Scream.” She took a little liberty with the serpent and the bright colors… but hey, the original is a bit depressing no? 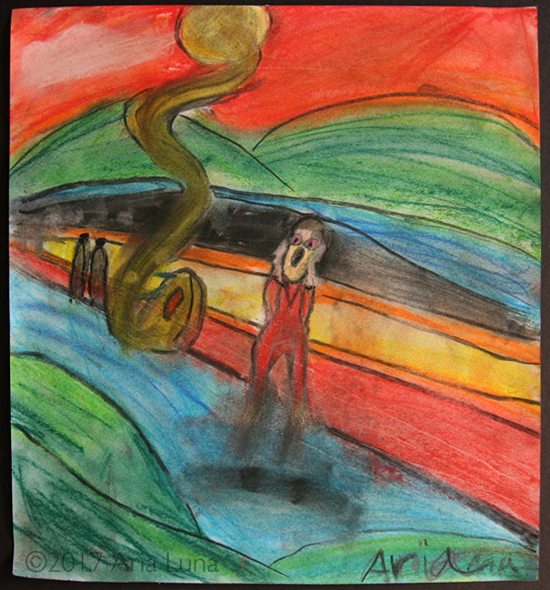 This is the product of a summer camp session at a local elementary school. It was “African safari” week. We never knew Elmer’s Glue could do things like this.